Advanced Micro Devices has a new CEO, Lisa Su, who will now try to stabilize a company that's attempting to diversify into new markets outside PCs and servers. Su will replace Rory Read, who has stepped down from the post. Su solidified her position as the second-in-command to Read when she was appointed chief operating officer in June. AMD has struggled financially in recent years but has had some bright spots with its chips now going into the Xbox One and PlayStation gaming consoles. The company is trying to hold on to market share in its bread-and-butter PC market but has reshaped its server road map around ARM processors. AMD is also making custom chips for clients as it tries to reduce its reliance on the declining PC market. Nobody was expecting the move so quickly, but Su's very qualified for the job, said Nathan Brookwood, principal analyst at Insight 64. "It's a good move, but I don't understand the timing," Brookwood said. Read could still have done a lot more for the company as CEO, he said. 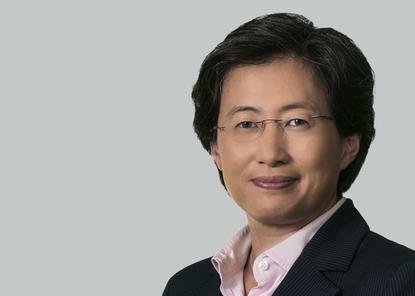 Read has brought a level of stability to AMD since he was appointed CEO in 2011, with the company having a few quarters of profits under his reign. But AMD also has a history of unceremoniously changing CEOs. The company booted Dirk Meyer from the position in early 2011, and appointed outsider Read, a former Lenovo executive, later that year. This time, AMD found Read's successor within the company. Su has a tremendous amount of technology depth and has spent her career in the semiconductor industry, Brookwood said. "She understands the issues of semiconductor companies far better than Read," Brookwood said. AMD is going through a multi-phase strategy to stabilize the company, get its product road maps in order and grow in new markets. Read introduced a culture of delivering products on time, and Su led the execution of timely development and delivery of chips. One success was delivering the complex chips for Xbox and PS4 on time. Su was already associated with the growing parts of the company, such as semi-custom processors and embedded chips for the "Internet of things," said Dean McCarron, principal analyst at Mercury Research. "The task at hand is to keep that momentum going," McCarron said. He also said the appointment came a bit earlier than expected. AMD faces challenges in high-margin server chips, where it has a small market share compared to Intel. AMD is bringing the emerging ARM architecture into its x86-dominated server chip portfolio. The first ARM servers with AMD's chips are due early next year.